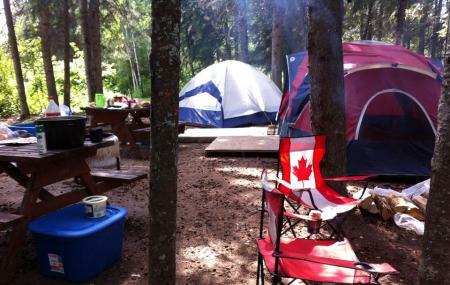 The Thunder Rapids Lodge is a wonderful tourist destination in the spot of Saskatchewan, Canada where you can enjoy an excellent hunting and fishing experience. It is a well-organized hunting area where you can suit your hunting spree by hunting down birds, ducks, and bears. You can come here with your family and friends as the place offers a safe and comfortable environment. To enjoy a comfy stay, you can book the cabins and lodges of this place. The amenities you can avail at the Thunder Rapids Lodge are free internet connectivity, Outdoor pool, wheelchair access, Telephone access and Outdoor pool. You can easily avail grocery items while staying here. The place is pet-friendly and offers free parking too. Great fishing, great hook selection and amazing service from Gary and Debby. Pertty good ! Cabin was clean, water was hot. Its not a 5star resort. If cool rainy weather when cant do much, suggest you bring an Ipad or tablet with movies down loaded as no internet or WiFi. First time and yeah....we will be back for another fishing long weekend. Thanks for enjoyable time !! Terrible! First and last time I will stay there. The owner is crusty went to ask her a question and she looked at me like i was stupid and should know what i was asking. And when she did answer my question(after starring at me for a minute) gave me a very rude answer. People were partying and laughing loud half the night. Wouldn't recommend it! Excellent accommodations the new cabin is very nice!